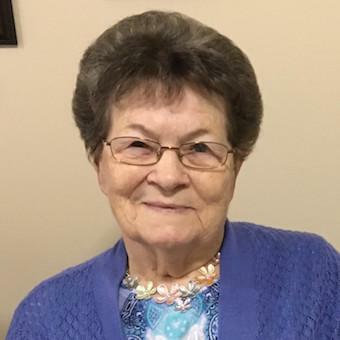 It is with great sadness that the family of the late Dorothy Brenton (nee Bungay) announce her passing at the James Paton Memorial Hospital, Gander on Sunday, July 29th, 2018 at the age of 85 years. Predeceased by her husband George (April 2002), her two babies Wade and Emily, son-in-law George Whey (Aug 2014), brothers Nathan (June 12, 2018), Hubert, Alpheaus, Charles, and sister Leveita. Leaving to remember her: son Daniel (Phyllis); daughters Maisie Brown (Carl), Bonnie Lane (Reg), Julia Whey, Beverly Buffett (Neal) and grandchild Tammy Pickett (Jamie) whom she raised as her own daughter; grandchildren Christopher (Kim), Michael (Leah), Mathew (Melissa), Lisa (Campbell), Andrew (Michelle), Jonathan (Nicole), Jelyssa, Nicole (Michael), Nathan (Danielle), Nicholas (Rochelle); great-grandchildren Tyler (Abby), Marcus, Elizabeth, Ryan, Coady, Jayda, Courtney, Kayley, Ethan, Parker, Emma and little Abigail; great-great-granddaughter Olivia; brother Arthur (Kitty), and a large circle of other family and friends. A special thank you to the doctors and nurses at the James Paton Memorial Hospital, Gander and the Health Science Centre, St. John’s over the past three months and throughout the last five years. Funeral service was held on Thursday, August 2 at the Anglican Church Trinity, B. Bay.